Twenty years ago, the only “marketing” that restaurateurs had to do was to list their restaurant in their town’s yellow pages and push delivery menus through the door. Unfortunately, that just won’t cut it in the 21st century. In today’s world, restaurant owners need to harness the power of digital if they want their restaurant to be booked out every night of the week. 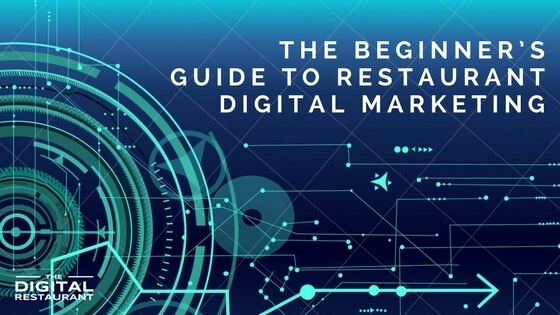 For the inexperienced marketer, restaurant digital marketing may sound like a daunting prospect. But it doesn’t have to be. There are several things that you can do right now to make your restaurant enabled “digitally”. This post will show you how you can get started with digital marketing. For an in-depth post on how to get the most out of Google, read our Google 101 For Restaurants blog post. Google can make or break the digital presence of your restaurant website. So make sure that you get it right. Once you have registered your account, there are a couple of these platforms that we highly recommend you focus on first. If you’re going to start a digital marketing campaign, you need to see where your visitors come from. That means adding analytics to your website. Our Google 101 for Restaurants post has guidance on how you can add tracking to your website, as does Google. Based on this information, you can make decisions like adding content to certain pages, making your website more mobile friendly or offering specific offers for people from certain areas. People who most likely to visit your restaurant are those that live close to it. 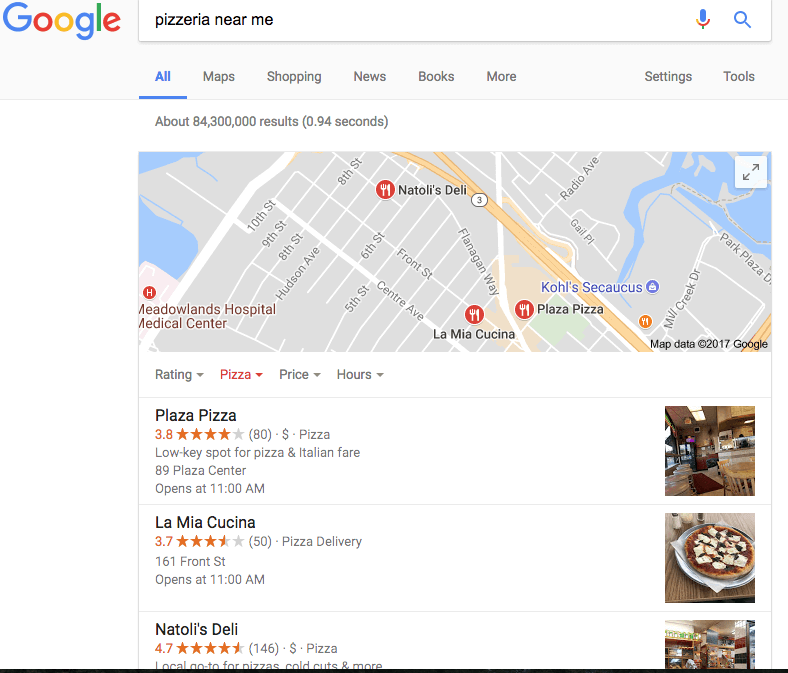 What better way of grabbing their attention, then, than having your restaurant’s location show up when they search for pizzeria near me? Google My Business gives you the opportunity of providing your restaurant’s location, opening times, website and phone number to thousands and thousands of people every day. But only if you fill out your profile and verify your address. Take this step instantly to start getting the most out of Google. For an in-depth post on how to get started with Facebook, read our Facebook 101 for Restaurants blog post. You can’t just rely on Google to increase your web presence, however. You need to be active and regularly reach out to past and potential customers. Facebook is the best platform for achieving this. Check-ins: customers can let their Facebook friends know every time they visit your restaurant. There’s nothing like social proof to get bums on seats. Facebook ads: Few online platforms allow you to reach as many people for as few dollars as Facebook. Whether you want to increase the amount of likes your page has or send users directly to your website, Facebook ads can help. A place to communicate with customers: When you create a Facebook page for your restaurant, you are well on your way to building a real community. This can be the place where you gather real, honest feedback from customers, speak to them one-on-one and show that you really care. The more people who see you doing this, the more people who will visit. Creating a Facebook page might seem tricky at first glance, but we’ve broken down the process in our post on how to set up a Facebook page for your restaurant. For an in-depth post on the basics of reputation management, read our Reputation 101 for Restaurants blog post. The third leg of our beginner’s digital marketing tripod concerns reputation management. Or, more specifically, how to get started on Yelp and TripAdvisor. Opening up your restaurant to criticism may seem foolhardy at first, but that’s until you realize that criticism (and compliments) are happening without you. The truth is your business is probably already being commented about on Yelp, TripAdvisor, Google and a dozen other review sites. If you aren’t there to control the narrative, bad (and sometimes erroneous) reviews can ruin your restaurant. Read our guide to add or claim your restaurant on the top review websites. With your profiles set up, you’re going to want to start responding to reviews next. Replying to good reviews is easy, but make sure you do it. Everyone likes to be thanked, after all. Responding to negative reviews is a little bit harder. We recommend the following four-step approach, which we cover in more detail here. It won’t work every time, but showing that you’re able to face criticism head-on will be appreciated by a lot of customers and other reviewers. If you always rise to bad reviews and start an argument, people will leave bad reviews in order to wind you up. Do you need help kickstarting your restaurant’s digital marketing campaign? Our experts are here to help. Book a free consultation today by picking up the phone.